For the sake of our water, help fix it, now. Why do so many Members of Congress stand by – or, even worse, pile on – whenever the Trump Administration advances another one of its reckless anti-environment giveaways to big polluters? Maybe it’s because things have been systematically rigged to boost the influence wielded by big polluters and other corporate special interests. When people like you who care about clean water are effectively shut out – or worse, ignored by those elected to represent us – bad things can happen. The Trump Administration’s Dirty Water Rule is only the latest example. It’s a reckless “repeal and replace” scheme that would take back our hard-fought Clean Water Rule victory and go even farther, cutting even more deeply into fundamental Clean Water Act protections. Remember, We All Live Downstream! Drinking water for millions of Americans is on the line, and this affects you! Polluters and their allies in Congress and state legislatures have worked for years to make it harder for people to vote. They’ve redrawn political districts to make it harder to unseat even the worst representatives. They’ve opened the floodgates to virtually unlimited special interest political money and warmly embraced big money lobbying from the same corporate interests, now at record breaking levels. It’s no wonder their Dirty Water agenda has gotten as far as it has, so quickly. That’s why Making Democracy Work has been central to Clean Water Action’s mission for more than four decades. While we fight to defend clean water from outrageous attacks in Congress and now even at the Environmental Protection Agency (EPA), Clean Water Action is redoubling its commitment to democracy. For the first time in years, thanks to big changes brought by last year’s midterm elections, there is now a package of bills before Congress that attacks the root causes of this serious, systemic problem. Join Clean Water Action in the fight for real reforms. Donate now. We’re in this for the long haul, but the need has never been greater than it is today. Clean Water Action and allied environmental and conservation organizations are campaigning together to build support for H.R. 1, introduced in the U.S. House. This bill would make it easier – not harder – for people to exercise their constitutional right to vote. It tackles the problem of money in politics head on. It would help bring an end to political district boundaries drawn to protect the incumbents and remove partisan politics from the process. It would also tighten ethical standards for government and help close the revolving door which has placed industry hacks in charge at EPA and rewards polluter-friendly officials with industry jobs when they leave public service. 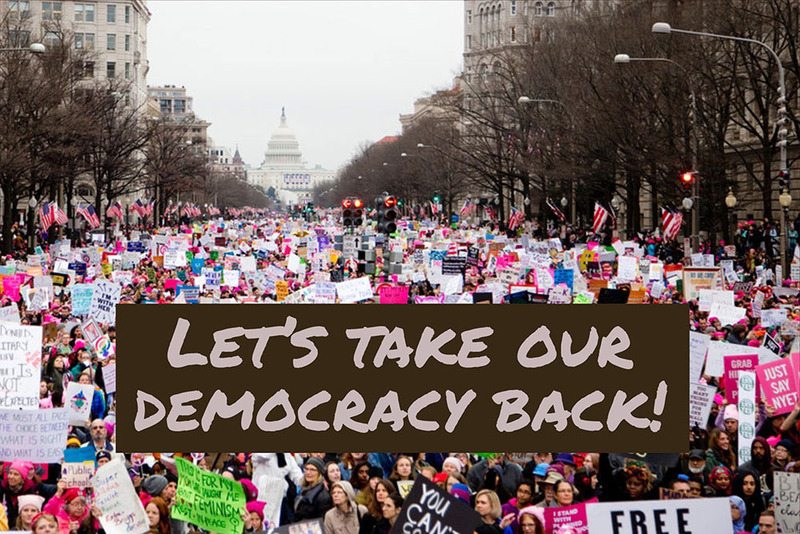 This is an uphill battle but it is essential for the future of our clean water movement, the restoration of democratic norms and a civil society where the voices of everyday people will actually count for something. Your gift today can help make it happen.